There are benefits to having a photographer that specializes in weddings, and even more benefits to having a couple and photography team that specializes in weddings. Mike and Melissa are the married couple and Cleveland wedding photographers that have helped newly married couples capture their fairytale day. This team works closely with clients to ensure the plan and style for shooting the big day is set. The bride and groom can enjoy their day of love knowing the photographers are going to capture the entire thing beautifully. EM Event Photography offers clients top-quality service for any event or wedding that they photograph and are even becoming famous for exceeding the expectations of their clients. 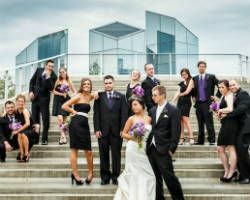 As a wedding photographer in Cleveland, OH, Edric Morales sets the standard for style and professionalism. The artist has devoted himself to photographic art. His passion for his work is clear in the images he takes and the personal attention he gives his clients. Choosing this photographer means choosing to have a friend on your big day, who will produce amazing images. Photographers that have countless years of experience shooting can be great but that often means that their work becomes stale as many do not keep up with current photography trends. Imagen Photography is a company of young artists who have the modern techniques and style to match the style of contemporary couples. They offer the latest trend in photography as well as complete videography services. This team knows what they are doing behind the camera and knows how to make the images look the way you have always imagined. 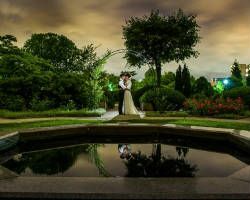 Love Photography is a wedding photographer that specializes in capturing the romance and connection between couples and people. This company offers affordable wedding packages to benefit both you and them. They are then able to shoot more weddings, which is something they truly love to do and you have access to their talent without breaking your budget. By choosing this company, you will get the wedding images you have always dreamed of and will be able to preserve those fairytale memories. Wedding photography is delicate business. Photographers need to not only have a unique and elegant style in their photographs but they also have to be able to keep up with the chaos and pace of a wedding day. Casmir Photography specializes in shooting weddings and is always able to calmly and professionally work in any condition. If you want your photos to be more like artwork rather than pictures, then this company truly is the best. They will capture all of the romance and emotions of your big day with ease. For the last two decades, Michaelangelo’s Photography has been photographing weddings all over Ohio and beyond. In the process, they have been able to capture a variety of wedding styles and have met amazing couples. 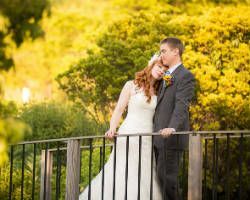 When you book this company to photograph your wedding, you will truly get personalized images. They work with you to get to know you better and therefore better be able to capture your big day. Their artistic style is combined with a documentary style to create a unique perspective that you will love. Photographers that clearly list their rates and prices along with the services they offer want their clients to have only the services they truly need. Steven Mastroianni Photography’s reviews always rave about the quality of his work and the beauty that he has captured but the reviews of the personal attention he gives to each client is truly remarkable. 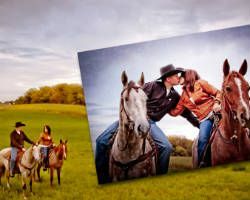 This photographer ensures that he works closely with clients to achieve the best working relationship and take the most beautiful and meaningful images possible.